Last month we are amused by the latest Ice Age installment Dawn of the Dinosaurs and it did pretty well in the box office that it beat Transformers sequel to the top spot on its first week. But the movie's reign didn't stop there because it is reported that Ice Age 3: Dawn of the Dinosaurs is the Philippines no. 1 Animated movie of all time. With a record of P114 Million in its 6th week, Ice Age 3 is crowned as the box office hit Animated film beating the recent record of Kung Fu Panda who garners a P112 Million on box office. Mr. Francis Soliven, general manager of Warner Bros., distributor of 20th Century Fox’s “Ice Age 3” further states that with the recent record-breaking box-office accumulated receipt of P 114, 112, 489, the film has now become the Biggest Franchise for an Animated Film All-Time. 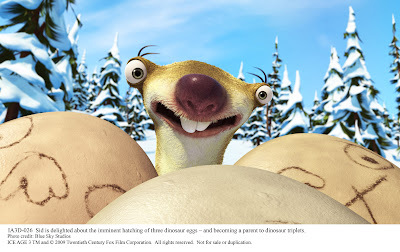 With “Ice Age 3’s” gross plus the previous “Ice Age: The Meltdown” at P 93 million and the first “Ice Age” at P 38 million, the franchise now cumes at P 246 million as of August 9 budging “Shrek’s” previous record of P 202M. With this figures, it is a concrete proof that the tandem of Manny, Sid and Diego is still effective not only to kids but to all the movie goers. 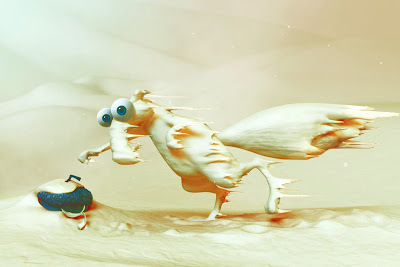 Ice Age 3: Dawn of the Dinosaurs is still showing nationwide specially on Digital 3D cinemas across the metro. To those who haven't watched it, you better get those tickets and experience a trip to the Ice Age. Ang galing naman. Pero di ko pa rin napapanood ito until now. you should watch it. Now na!